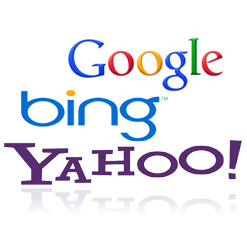 WaveSEO Search Engine Optimization Software is the # 1 tool to increase "Organic" Website Search Engine Rankings in Google, Yahoo and Bing. WaveSEO developed by Wave Internet is the secret weapon your business needs to increase your Website Search Engine Rankings above your competition while easily being able to manage your Search Engine Optimization without programming experience. WaveSEO makes it easy to Optimize Search Engine Website Page Titles, Keywords, Page Description, Category, Product and Webpage Meta-Data easily. WaveSEO also includes Search Engine Friendly Website URLs that are Ideal for Increasing Search Engine Rankings and are easy to link into Forums, Online Advertising and e-Newsletters. To Maximum Search Engine Rankings even more, Hire Wave Internet SEO Professionals to Manage your SEO. WaveSEO Ecommerce makes it easy for anyone to Optimize Webbpage Titles, Keywords, Page Description and Create Search-Engine friendly URLs for Category, Product and User Webpages without having any programming knowledge at all. WaveSEO Enterprise Ecommerce Search Engine Optimization Software is specifically designed to increase SEO Rankings for Large Websites built on the WaveCART Enterprise Ecommerce Software Platform. Wave Internet SEO Experts have the experience and skill to Research, Create and Manage Advanced Keywords Strategies, Page Descriptions, Titles, Coding, Content Placement and Frequency to increase "Organic" Search Engine Rankings to substantially higher levels.